The Independence Missouri Police are trying to find a person of interest in regards to an overnight homicide. 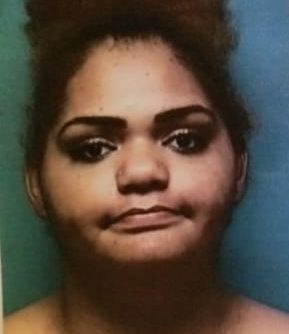 Ingenue K. Persinger, an 18 year old black female, 5’7″ and 200 lbs, is a person of interest in a homicide that occurred overnight in Independence. At about 12:17 AM this morning (3/24/19), police officers were called to the 2900 block of S. Forest on a shooting. The shooting victim was identified as Donald L. McIntosh, a 38 year old black male. He was transported to an area hospital where he died from his injuries. This is still an active investigation. Additional information will be released when it becomes available.